Definition at line 249 of file shellbrowser.h. Reimplemented from ExtContextMenuHandlerT< ShellBrowserChildT< ChildWindow > >. Definition at line 255 of file shellbrowser.h. Definition at line 616 of file shellbrowser.cpp. _shellpath_info(info)   //@@ copies info -> no reference to _create_info ! Definition at line 632 of file shellbrowser.cpp. References FileChildWndInfo::_pos, CLASSNAME_CHILDWND, and WINDOW_CREATOR_INFO. Referenced by MDIMainFrame::Command(), WndProc(), and MDIMainFrame::WndProc(). Definition at line 738 of file shellbrowser.cpp. References WindowHandle::_hwnd, ChildWindow::_left_hwnd, ShellBrowserChildT< ChildWindow >::_shellBrowser, COUNTOF, Entry::get_path(), Entry::get_shell_folder(), String::printf(), ChildWindow::resize_children(), ChildWindow::set_url(), and TEXT. Definition at line 641 of file shellbrowser.cpp. References CONTEXT, Window::Init(), and update_shell_browser(). Definition at line 717 of file shellbrowser.cpp. References ShellBrowserChildT< ChildWindow >::_shellBrowser, _tcsnicmp, SplitFileSysURL(), and TEXT. Definition at line 684 of file shellbrowser.cpp. References ExtContextMenuHandlerT< ShellBrowserChildT< ChildWindow > >::_cm_ifs, _create_info, ExplorerGlobals::_hInstance, WindowHandle::_hwnd, ChildWindow::_hwndFrame, ChildWindow::_left_hwnd, FileChildWndInfo::_open_mode, ChildWindow::_right_hwnd, ShellBrowserChildT< ChildWindow >::_shellBrowser, _shellpath_info, ChildWindow::_split_pos, DEFAULT_SPLIT_POS, g_Globals, IDC_FILETREE, OWM_EXPLORE, and SPLIT_WIDTH. Definition at line 654 of file shellbrowser.cpp. 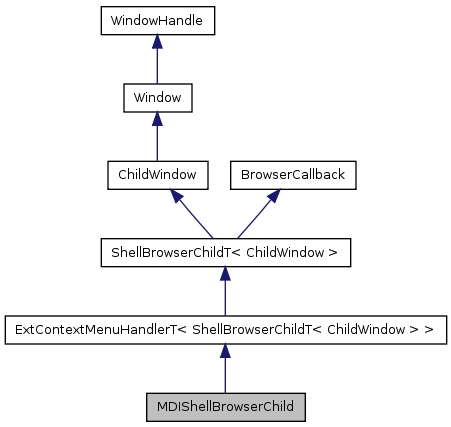 References _create_info, ShellBrowserChildT< ChildWindow >::_shellBrowser, ChildWindow::_url, CONTEXT, Window::Create(), create(), ID_REFRESH, ID_VIEW_SDI, ID_WINDOW_NEW, PM_DISPATCH_COMMAND, and ExtContextMenuHandlerT< ShellBrowserChildT< ChildWindow > >::WndProc(). Definition at line 266 of file shellbrowser.h. Referenced by update_shell_browser(), and WndProc(). Definition at line 267 of file shellbrowser.h.